Music demo includes selections with a four piece jazz group and solo classical pieces. Chris offers many varied combinations for your event. Although Chris has performed in prestigious halls and performed with many famous musicians he really enjoys making the music for your wedding or event perfect. The musicians he chooses for his various ensembles are hand picked from the best our area has to offer. Chris has been working with Carol Marks Music for more than 25 years to make sure everything is “just right” when your guests arrive. "Excellent and a pleasure to have at our event." "Beautiful music! Very pleasant guy. Eager to please." "Christopher and trio were excellent musicians and very easy to work with. Their music added significantly to the atmosphere of the evening. Thanks!" "I have several times heard the young guitarist Christopher McGuire and consider him an artist; sensitive, with perfect technique... I am sure he will be appreciated and applauded everywhere." "The music was perfect! Thank you very much for helping make our day very special." "His beautiful playing was full of life and colour." "He does indeed succeed in doing it all alone, he and his guitar...where one stops the other takes over in a continuous flow of melodious sounds." "They (Chris McGuire Quartet) were great!" "The music was at once delicate, yet forceful and sophisticated...the rich tone and sparkling interpretation he gave to the music showed his empathy with the spirit of the music. McGuire seemed at one with his instrument and the music he chose to play." "McGuire is a pro when it comes to turning young people into appreciative listeners of classical guitar." 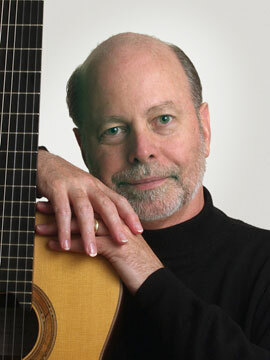 Christopher McGuire, Artistic Director of the Fort Worth Classic Guitar Society, has performed hundreds of formal solo concerts in the United States, Mexico, Japan and Spain. He has been a guest artist with orchestras and chamber ensembles and also composes for his music group, D'Accord. He has performed more than one thousand informal performances in schools and other community venues for the Dallas Classic Guitar Society, Fort Worth Classic Guitar Society, Young Audiences and in cities throughout North America, Spain and Japan. Mr. McGuire was named one of the "Most Influential Leaders in the Arts" in Tarrant County by the Fort Worth Business Press. The Fort Worth Classic Guitar Society has won the FW Weekly Music Award, "Best Classical Music" for the past two years. His recent appearances include a performance for the Chamber Music Society of Fort Worth of the Sonata No. 25 for Guitar and Violin by Mauro Giuliani with Swang Lin, Concertmaster of the Fort Worth Symphony Orchestra. He was invited to present a lecture demonstration, "Developing an Effective Residency Program" at the 1998 Guitar Foundation of America International Convention in Montreal, Canada. In 1985 McGuire won first prize in the Dallas Chamber Orchestra Concerto Competition. His performance at the 1993 Guitar Foundation of America (GFA) International Festival in Buffalo, New York was enthusiastically received by his peers and in 1994 and 1996 he was selected to judge the GFA International Competitions in Quebec City, Canada and St. Louis, Missouri. He has studied with or performed in master classes for several of the worlds foremost guitarists including Andrés Segovia, Oscar Ghiglia, Pépe Romero, Robert Guthrie and José Tomás. He received full scholarships to Southern Methodist University on the recommendation of Robert Guthrie and to the Aspen Music Festival on the recommendation of Oscar Ghiglia. In the summers of 1980-82 he had both classes and private lessons with the great Spanish composer Federíco Moreno-Torroba. Blues master Stevie Ray Vaughn, a regular in the McGuire family music room in the early 1970's, taught Chris to play the blues in weekly jam sessions. He currently teaches music at the University of Dallas and North Lake College in Irving. Christopher McGuire commands the many expressive qualities of the guitar with what one critic called "unselfconscious intensity." His engaging performance style invites people of all ages to feel they are taking part, not just taking a seat. Audiences and critics on four continents fulfill the prediction by Andrés Segovia that "he will be appreciated and applauded everywhere." In addition to numerous television and radio appearances he was the subject of a half-hour program on Radio Shanghai of China (estimated audience in thirteen Asian countries: one billion).